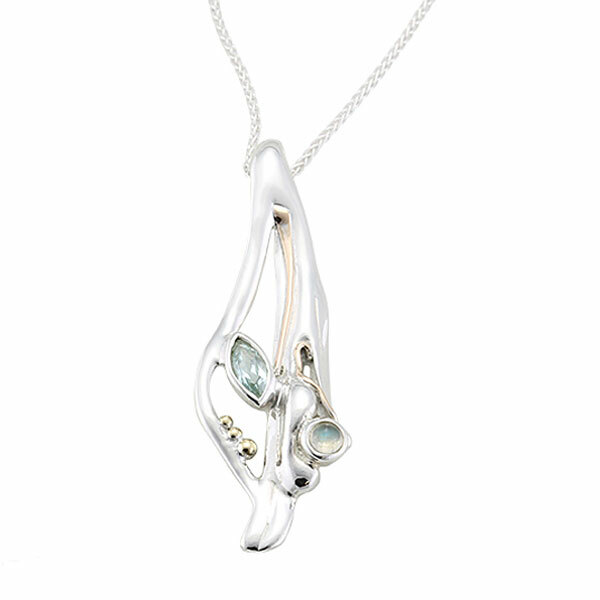 A silver pendant with a Blue Topaz and Moonstone with goldfill detail. This pendant, which is in the organic style of design typical of Banyan, is set with an attractive lozenge shaped blue topaz and a circular moonstone. It is finished with goldfill detail and is held by a silver chain. We would really appreciate it if you would kindly place a comment on our review section here on the page. It is so very helpful to us. Thank you.